Do I turn left, or do I turn right? This is the dilemma that faces me every time I set out for another landscape photography trip. A left turn takes me on a route that will eventually bring me to the south-east corner of Northern Ireland, and to the majestic Mountains of Mourne. These ice sculpted granite peaks inspired CS Lewis to dream the snowy Kingdom of Narnia into existence. I travel there as often as I can, and never without my trusty Manfrotto Advanced Tri Backpack. This rugged bag has climbed tens of thousands of feet with me over the past couple of years, packed full with my DSLR, lenses, hefty tripod and assorted food and clothing. It has been with me in the depths of winter, through blizzards and sub-zero temperatures, as we pressed on to reach another snowy peak; and in the warmth of mid-summer, when you can stand on those self-same summits with hardly a breath of wind on your face watching the setting sun paint the valleys below in golden hues. Through all these adventures, the Tri Backpack has showed both how functional and robust it is. It has more than handled all the rough treatment I’ve thrown its way. 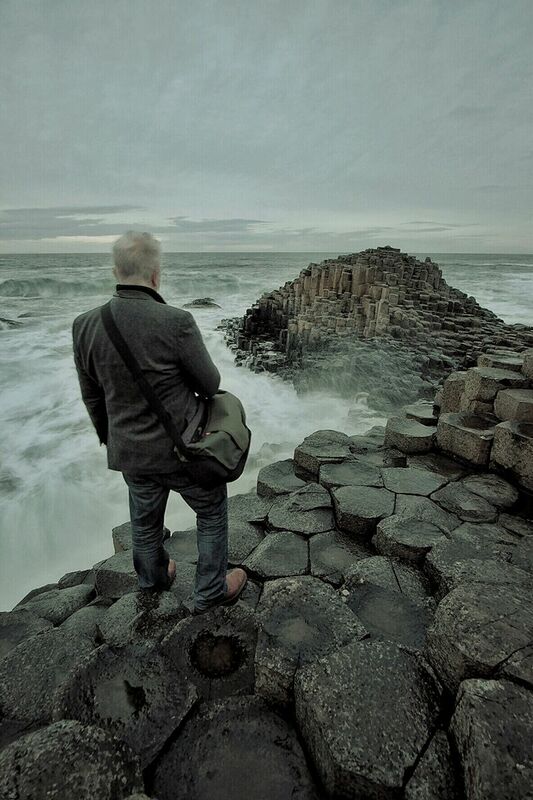 On the other hand, a right turn takes me to the Atlantic shores of the Causeway Coast. Where the rugged wave-sculpted cliffs stand proud against the relentless pounding of the Atlantic Ocean. Where the miles of pristine golden sandy beaches sweep majestically across the sheltered bays. This, too, is a place that has fired the imaginations. 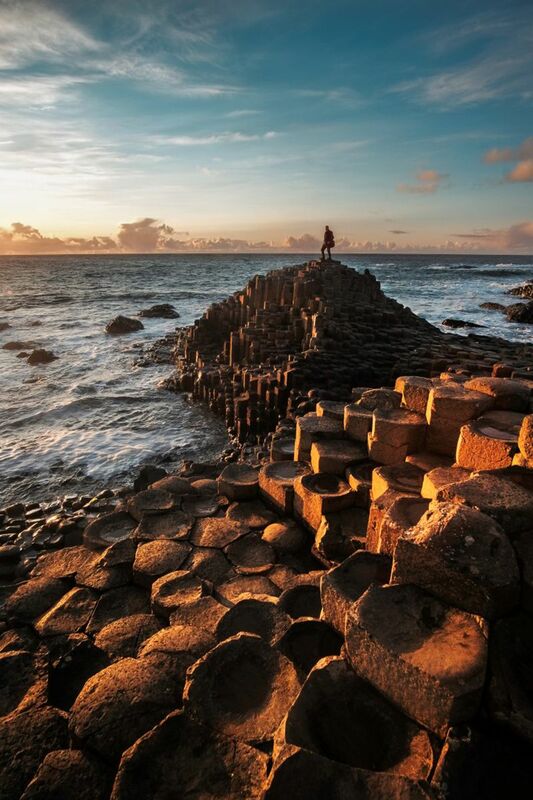 The enigmatic stones of the Giant’s Causeway have inspired legend for generations, of fearsome Celtic warring giants whose gargantuan disputes shaped the very shorelines of Ulster and Scotland. 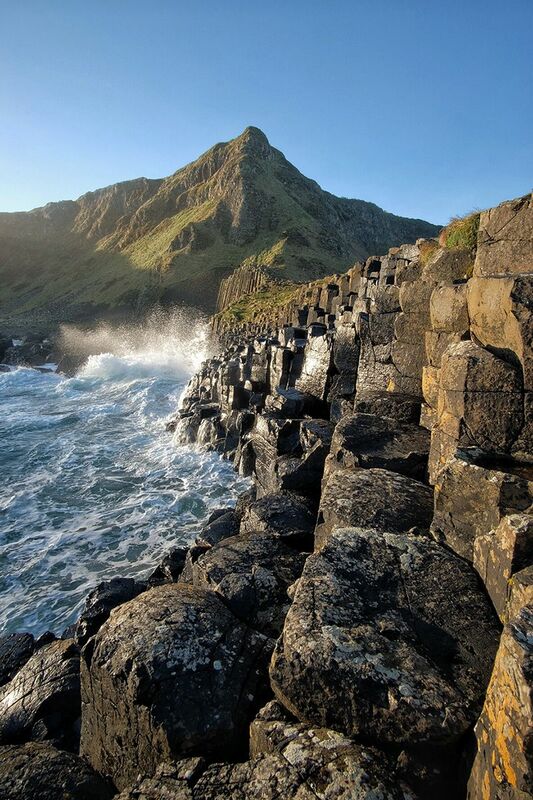 The Mournes demand that you to go hiking if you are to enjoy the beauty waiting to be discovered there; in contrast, the Causeway Coast, although rugged and wild, is much more accessible. My Manfrotto Advanced Tri Backpack has been with me on many trips here. But I was interested to see how a smaller messenger bag would do as I photographed a few of my favourite locations to the coast. I was looking for a bag that would swing into action quickly and without fuss. I also had just added the Fuji X-T10 to my collection. 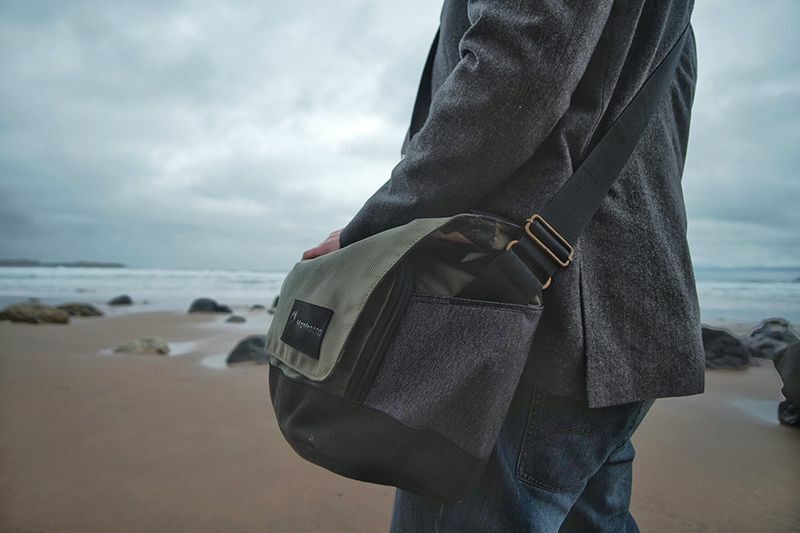 Such a small and stylish camera was crying out for a neater and equally stylish bag, a bag that would be as home sat on a seat beside me for a post-shoot coffee as it would over my shoulder on a Causeway Coast beach. When I got the chance to test drive the Manfrotto MB MS-M-IGR Messenger Bag, it seemed like the perfect chance to do just this. I had a few days when I’d be staying up on the coast. So I grabbed the bag, and my gear, jumped into the car and – I turned right! The first thing I noticed about the bag when I got it was the build quality – not surprising, given my experiences with the Tri Backpack. The materials feel durable and the stitching is solid and robust. Having used it for about 6 weeks now, carrying my camera gear, laptop and other assorted equipment for the day, I must say that no matter how much weight I pack into to it, nothing feels strained or burdened. The ergonomics are great too. The main strap is broad with a shoulder pad for added comfort and is made from a material that resembles a car seat belt. The strap is adjustable – and it is angled slightly, meaning that is sits very easily by my side when walking around. With just my camera and extra lenses in it, the bag is extremely comfortable to wear. And even with the extra weight of the laptop, the broad strap distributes the weight well and I haven’t found it digging into my shoulder. In addition to the main strap, there is a small carrying handle, handy when you just want to grab the bag quickly. It is made of the same robust seat belt like material as the main strap, although is much thinner and is wrapped in suede for comfort. The Street range is modern and minimalist. It has an uncluttered look that oozes effortless style. The main colours are subtle green and charcoal grey, with just a little bit of detailing in black. 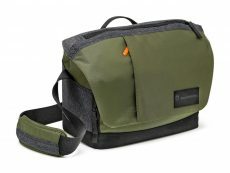 It could pass and function as a general messenger bag and doesn’t call attention to the fact that an expensive camera and lens or two may be tucked away inside. In fact, with the camera compartment removed, you could easily use this as a general day bag (although, if you’re anything like me, your camera is never too far away from you when you’re out and about!) In keeping with the modern stylings, I quite liked the fact that there were no buckles to fiddle with. I have another, smaller shoulder bag for my Fuji. It boasted that it had classy buckles. Classy, they may be – but fiddly too. Subtle zips and hidden Velcro fastenings mean that gaining access is quick and easy to achieve with one hand – great if you are mid-shoot and want to pull out a new memory card with your camera is in your hand. So, the bag is well made and stylish. But the most important question still remains: how does it function as a camera bag? Will it keep your camera safe, and is it easy to use? I found my gear was well protected. The main bag itself houses a removable padded, sub-divided compartment that takes up about half of the main section of the bag. I carried my X-T10 with a lens attached plus one other (my two lenses are the Fuji 18-55mm f/2.8 and the Samyang 12mm f/2.0) and they fitted in easily yet snuggly. I love how you can access this compartment: the main flap of the bag attaches easily with Velcro. But, there is a zip running across the top of the flap that allows quick and easy access to the camera compartment. In fact, the only time I really needed to open the main flap was when I was loading up at the start of a trip – the zippered opening was all I needed to get quick access to the camera. I could open it with one hand and without any hassle of manoeuvring the flap while getting access to my gear. In addition to this main compartment, there are a number of other smaller zippered sections. At the front, there is a small section with holders for pens and places for extra SD cards. The zippered storage on the flap itself proved a handy place to store my extra batteries. And a final zippered compartment on the back of the bag suited me perfectly to keep my filters. This compartment would easily accommodate a tablet too if you wanted to bring one. At the back of the main compartment is a final padded storage section, big enough for a 13” laptop. The laptop in here would be padded front, back and bottom, again protecting it well. My laptop is slightly bigger at 15”; but it easily fits in the main compartment, benefitting from the padding to the back (making it comfortable to carry too). The padded compartment that my camera gear occupies keeps the laptop from hitting off any lens or camera. The one function that I would be looking for that this bag doesn’t have is somewhere to attach a tripod. Maybe that’s a little bit unfair to expect: this is from the Street range of bags, after all. But, as a landscape photographer, a tripod often accompanies me on my photo shoots. Having said that, if you have a handy travel tripod, then it’s not too much hassle to carry it, and having it hanging from the bag may well have affected its comfort. What does it feel like to use this bag in the field? I must say I have thoroughly enjoyed using the bag. On the uneven stones of the Causeway, whether during the day, at sunrise beside the breaking waves, at sunset – or even in the moonlight with a subtle aurora along the northern horizon, the bag sat perfectly beside me, easily swinging into action as just when I needed it. On the long, sandy beaches, being able to access gear and lenses without having to set the bag down anywhere near the sand is just what you want. 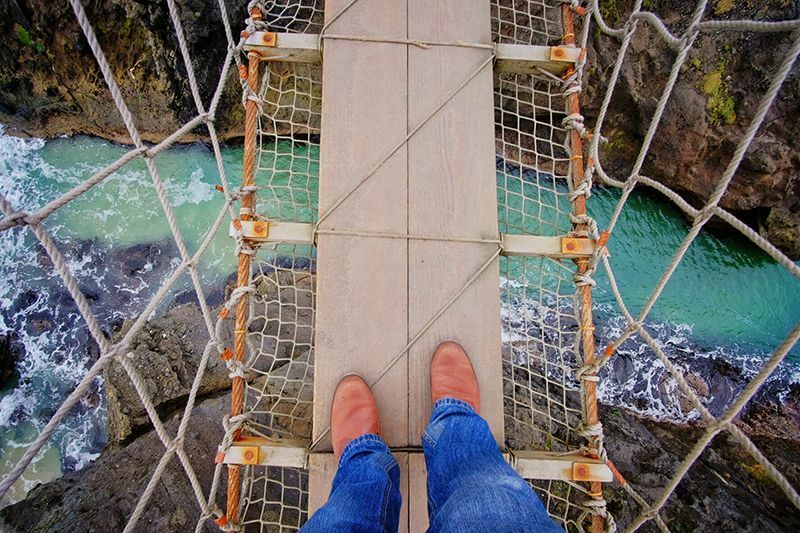 Crossing the Carrick-a-Rede rope bridge, suspended 30 m above the Atlantic Ocean below, the last thing you want is your balance to be thrown off by an unwieldy bag! 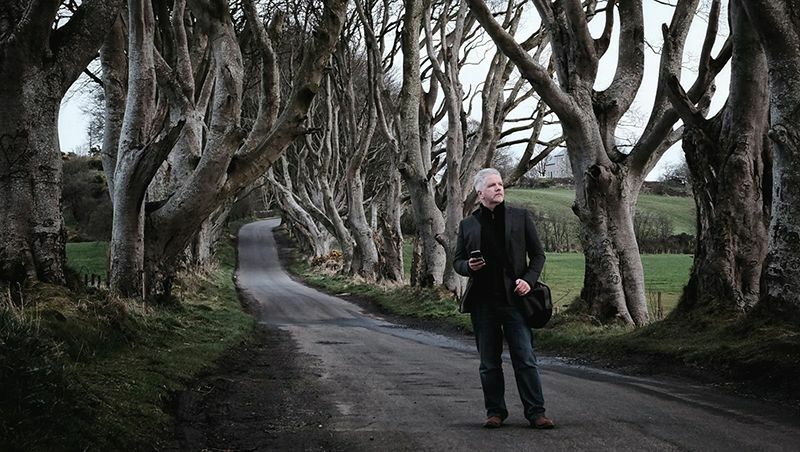 As twilight fell at the Dark Hedges, made popular by the Game of Thrones, the bag sat comfortably and easily over my shoulder: given the fact that this place is reputedly haunted by the ghostly Grey Lady, having a bag that doesn’t get in the way if you need to make a quick getaway is no bad thing! 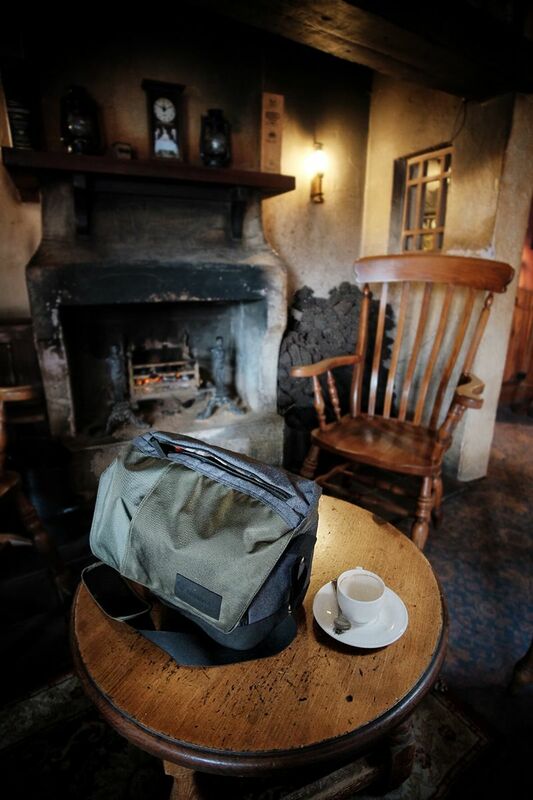 And when I visited an Irish pub for a post-shoot Irish coffee by the dying embers of a turf fire, the stylish bag didn’t look at all out of place sitting on the table beside me. All in all, the easy access meant that when I was out shooting the bag did what it should: it got out of the way and allowed me quick and easy access to all the various bits and pieces of gear I needed just when I needed them. It is proving extremely comfortable to carry around; even after having it on and off all day, it sits so comfortably on my shoulder. The robust finish and padding means I have confidence that the gear is well protected as I carrying it around. And the stylish and modern finish to the bag complement the aesthetic stylings of my Fuji system (well, if you have a cool camera, you need a cool bag after all!) 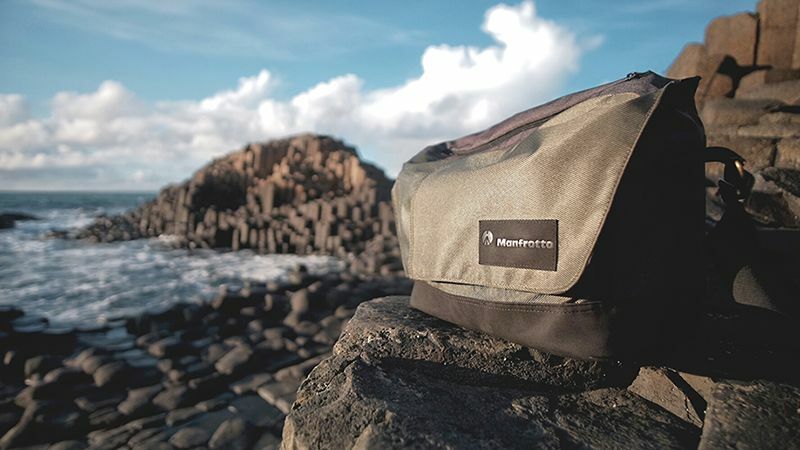 With the addition of the Street Messenger bag, I now have a Manfrotto bag well suited to helping me photograph the stunning Northern Irish scenery – whether I turn left or I turn right. 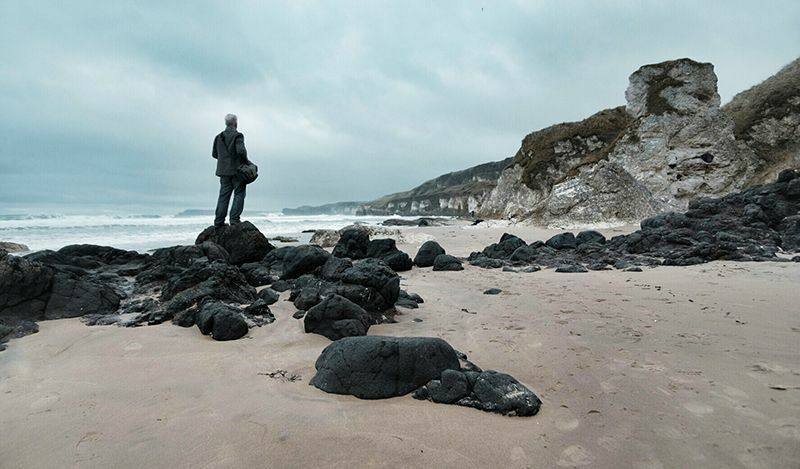 A Northern Irish landscape photographer who is never happier than when he is capturing a sunset after hiking to the summit of a Mourne Mountain, or shooting the crashing waves when he is being battered by wild Atlantic storm winds on the shores of the rugged Causeway Coast. He is an avid aurora chaser and is often found out late at night in gazing skywards in search of the dancing lights. He enjoys writing and, as well as maintaining a regular blog, he is an eBook author. 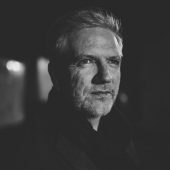 His work has been featured by many media outlets, including interviews with the BBC. 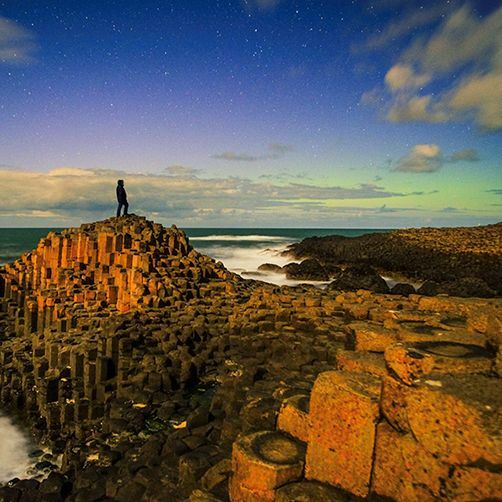 Alistair Hamill is a Northern Irish landscape photographer who is never happier than when he is capturing a sunset after hiking to the summit of a Mourne Mountain, or shooting the crashing waves when he is being battered by wild Atlantic storm winds on the shores of the rugged Causeway Coast. He is an avid aurora chaser and is often found out late at night in gazing skywards in search of the dancing lights. He enjoys writing and, as well as maintaining a regular blog, he is an eBook author. His work has been featured by many media outlets, including interviews with the BBC.